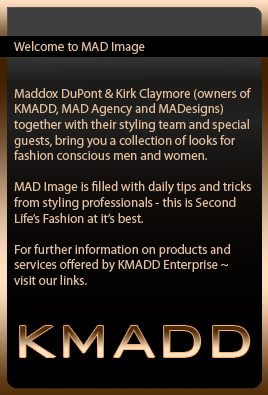 MAD Image is proud to introduce our latest MAD Image Stylist Natasja Schumann. Natasja is known for her beautiful photography in AVENUE Magazine as well as her blog. She enjoys an extensive modeling career with various fashion houses including MAD Agency. We hope you all enjoy her work as much as we do! Welcome Natasja! One of the hairstyles by MADesigns debuting at Hair Fair is Eve. Here is a preview of the style. I’ve been looking for something to showcase this necklace from Paper Couture – or perhaps collar would be a better word, and I found it in the lovely new Bliss Couture gown – Bora.